Ethiopia Swears In First Woman Supreme Court Chief Ethiopia's Prime Minister Abiy Ahmed has appointed several women to senior government posts, part of a wave of reforms since he came into office last April. Meaza Ashenafi is Ethiopia's first female Supreme Court chief, and one of several women appointed to senior government positions by its new reformist Prime Minister Abiy Ahmed. Ethiopia swore in its first female Supreme Court chief on Thursday, part of a wave of appointments of women to top government positions backed by Ethiopia's new Prime Minister Abiy Ahmed. The new chief, Meaza Ashenafi , a champion of women's rights, was a judge on Ethiopia's High Court from 1989 to 1992 and adviser for the UN Economic Commission for Africa. She founded the Ethiopian Women Lawyers Association and started the country's first women's bank. Meaza also tried a case that resulted in an end to the tradition of kidnapping girls and forcing them to marry. The case sparked debate over the issue throughout the country and became the subject of the 2014 film "Difret," executive produced by Angelina Jolie. Underage marriage remains common in rural Ethiopia, where most of the population lives. Abiy Ahmed, 42, Africa's youngest head of government, was elected prime minister in April, and has promoted a series of measures to improve gender parity in the country. 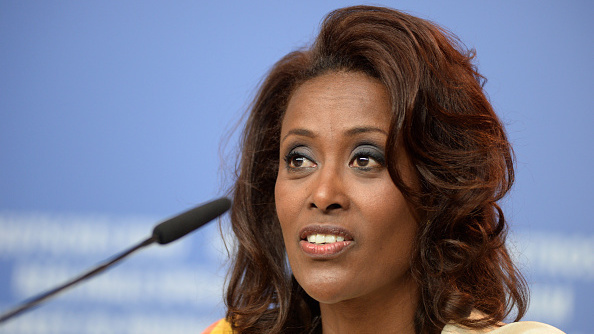 After a cabinet reshuffling, women now make up half of Ethiopia's ministerial positions. Abiy said he nominated Meaza "with the firm belief that she has the capacity required, with her vast international experience in mind," according to Reuters. The parliament approved the nomination unanimously. Fitsum Arega, Abiy's chief of staff, tweeted congratulations to Meaza following her swearing in. "Ethiopia's march towards gender parity in key leadership positions continues unabatedly," Fitsum wrote. Abiy has also invited exiled opposition leaders back to Ethiopia and released thousands of political prisoners, including journalists and bloggers. He made peace with Ethiopia's neighbor, Eritrea, after a border war and 20 years of bitter relations, and has begun opening up the country's state-run economy.